Out with the Old School…. While working in the telecoms sector over the past 15 years I’ve seen a lot of methodologies and technologies come and go. Some methods of monitoring however never seem to change and fault management is one such method. Fault management and its associated tools have been around since the early 80’s but unfortunately have not progressed much in that time. A typical Fault Management system still consists of scrollable lists containing pretty colourful lines and still require you to conduct long tiresome searches to determine the root cause of an outage. It, unfortunately, is the backbone of many operations centres, and service providers rely heavily on this tool much to the detriment of their revenue generating services. As we all know, modern service providers now provide more than just fixed line. They are quad players, providing an array of revenue generating services such as TV, Mobile, Broadband and Fixed line services to their customers. These services must be available to the customers all the time, not doing so will impact customer experience and possibly lead to customer churn. The technologies that underpin these services are now fully redundant, more reliable, and more resilient than ever before. This begs the question, should we primarily use fault management to monitor revenue-generating services? The answer is, no. Assuring services are fully functional is about more than just fault management. Service assurance is about consolidating information from a number of information sources such as fault, performance (metrics), analytics (e.g. abnormal behaviours), infrastructure relationships (topology), ticketing, change, provisioning systems, and most importantly a service catalogue. Why is a service catalogue so important? Imagine being a kid again and getting an Airfix or Revel model plane but without an instruction booklet! You have all the pieces but no clue how it all fits together. A service catalogue, done properly, allows you to understand what components, right down to a process running on a server, make up your service. With this information to hand you can develop fully functional service views which will inform you, at a glance, what is impacting your service. No more trawling through hundreds, if not thousands of alarms. One quick look at the operator screen will let you know all you need to know. Is my service fully functioning? Is it impacted or degraded? What’s more, within a couple of clicks, you can find out why. 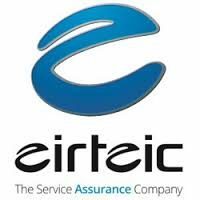 Eirteic have been partnering with leading service providers for many years and we are continuously working with our partners to develop solutions that ensure our partners’ services are available when required, which in today’s world is all of the time, every-time. Want to know how? Contact sales@eirteic.com and ask for Eóin.